Phnom Penh, Sep 22 Cambodia will deport an Australian filmmaker after he received a royal pardon following his conviction on espionage charges, an immigration police spokesman said on Saturday. "He will be deported this (Saturday) afternoon," General Department of Immigration's deputy chief and spokesman Keo Vanthan told Xinhua news agency. 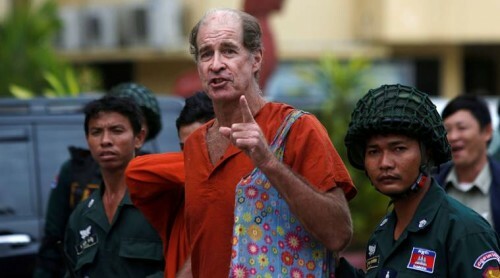 James Ricketson, 69, was released from a Cambodian prison on Friday after receiving a royal pardon at the request of the country's Prime Minister Hun Sen. The Australian filmmaker was convicted last month of spying and collecting information that could jeopardize national security and was sentenced to six years in prison. He was arrested on June 3, 2017, in Phnom Penh while flying a drone illegally to capture images of a rally by the court-dissolved opposition Cambodia National Rescue Party.